There are many kinds of tubes in the world. Most of those have their place in the world but when making beer, the only tube that matters is beer line tubing. And if you want your beer to be the best beer it can be, then having quality tubing for your beer lines is just as important as sanitization, good hops, and great brewing practices. Have you ever transferred beer? Did you ever try and pour a massive load of wort into a secondary? Did you ever spill it? Get burned by the hot water? Have you ever siphoned beer? Ever cooled a beer wort? Every time you buy a piece of brewing equipment that uses tubing you are making a call about your beer. Different tubing does different jobs so bear in mind, a single piece of tubing is not the 'one tube to bind them all'. 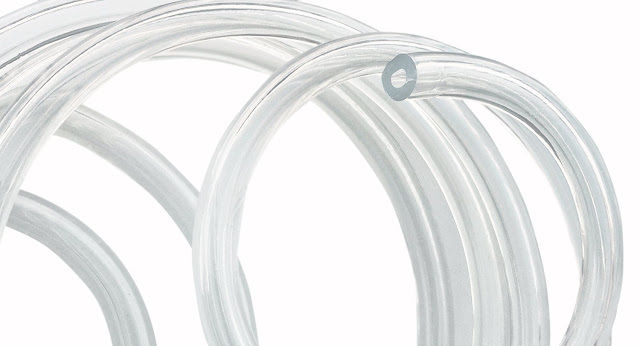 What's the deal with vinyl tubing for brewing? Vinyl tubing is cheap, widely available and is excellent for transferring beer from a keg via a jockey box. It is not suited for high temperatures so it arguably shouldn't be used for transferring hot wort for example. Some pundits believe that hot tubing can leach into beer, tainting the beer's flavor, or worse adding harmful chemical residue to the beer. I'd take that with a grain of salt but certainly, hot water or wort can damage your tubing so we say use vinyl for transferring beer. Many beer lines come with screw clamps already attached that will connect to your faucet. You can also get reinforced lining for your tubes - it makes the hose stiffer and more difficult to use, but that might be just what you need. What is the best silicon tubing for transferring hot wort? Using silicone tubing to transfer hot wort is hands down your best option because it will not melt or change shape by standard vinyl tubing can do. It is also non-toxic. When transferring wort or a hot sparge, you should always consider using a tube that has been rated for high temperatures like silicone. Silicone can handle temperatures up to 500 degrees Fahrenheit which makes it quite ideal for transferring hot liquids. This is the reason why silicon bakeware is so popular - it's light, easy to clean and can withstand the heat pressures of your home oven. If you do not want to use silicone, then any tubing that's manufactured as 'thermoplastic' will also do the job. Vinyl tubing that is used with hot water has the potential to leach from itself into your beer, possibly tainting it. Silicon will not curl up like vinyl hosing can. What is the best tubing to connect to a wort chiller? Wort chillers are great for reducing the temperature of the hot beer wort quickly and efficiently so you can get on with pitching the yeast so you can get your beer fermenting. Most wort chillers will connect the copper or steel end to standard vinyl tubing which then has an attachment that connects to the water supply, often a faucet. What should I use for 'blow off' tubing? If your wort has a tendency to expand into a messy foam out the top of your carboy (beware the krausen!) then you may want to use a blowoff tube in place of the standard carboy airlock. The tubing can then release the foam into a bottle, bucket or whatever to contain the krausen. You can use whatever kind of tubing you want but be sure to get a suitable thick pipe, nothing too narrow as that will work against you as the krausen will not be able to blow out tubing. Some uses prefer to use steel tubing. Your beer lines will naturally over time become filthy due to beer residue, yeast and goodness knows what else finds it's way into the tubes. Crucially, a build-up of calcium oxalate can occur - 'beer stone' as it is known can be a real pain to remove. In fact, if you get beer stone in your lines, we'd recommend you best simply replace them. If that occurs your beer could become tainted as it flows through, ruining the drinking experience. So keep your lines clean! 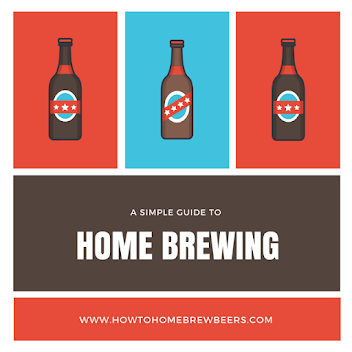 If you a simple homebrewer, a handy solution is to soak your beer lines in a cleaning solution. And for this, we recommend our go to product, sodium percarbonate. It's cheap, breaks down in water and won't leave a bad taste residue. Once you have soaked your tubes in a bucket for say an hour, drain the cleaning solution and then rinse with fresh water. Re-attach your tubing and you are good to pour your delicious beer! How to prevent beer gushers!